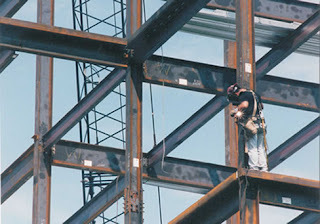 We have is a stiffener bar (continuity connection) in a column that calls for (AWS D1.1) BTC-P4 for the flanges and fillet welds both sides in the web. The stiffeners were field welded. After assembling 35 connections we discovered no fillet weld on the bottom side in the web. Problem is we can't weld the bottom side of the stiffener now because of clearance. What are our options? Could we add more than the required 1/4” fillet on top of stiffener to satisfy the inspector? He is not offering any solutions. He just wants the requirements to be met, fillet weld both sides. If you can help, it will be greatly appreciated. Thank goodness for “on-the-ball” inspectors. 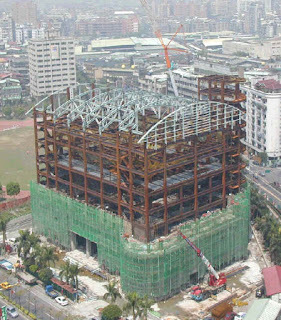 The inspectors’ part in this construction project is to monitor the fabrication and erection. Should issues arise, he is to bring them to the attention of those who need to know. Speaking from past experience that can be a thankless job. The inspectors’ fi rst response should be “Contact the Engineer and come up with a documented solution”. Often, when we start to brain-storm solutions on the job site, we don’t have all the facts or we may not understand all the requirements, to make the call. Example: Your suggestion for missing weld on one side of the joint was to increase weld size on the opposite side. There may be times when this is an acceptable solution, but if the engineers concern is the stress riser created from the missing fillet (which is often the case in today’s building construction) that oversized fillet would be of little benefit. And better to bring the issue into the light for engineering analysis now, than to find out after the concrete has set, that the fix was unacceptable. Inspectors may or may not have the engineering back ground to make this call, but it is the engineer responsible for the project that should come up with an acceptable solution. Brian contacted me by email to let me know that the solution to his welding issue was to backup, disassemble each connection, and add the original required ¼” fillet weld. Good call!